When people think of Croatia, their minds generally gravitate toward the sparkling turquoise waters and whitewashed walls of Dubrovnik. But the Istrian Peninsula in northern Croatia has an insane amount to offer. With heady truffles, olive oil, medieval hill towns, colorful coastal villages, and an unmistakable Italian flair, a couple days spent in Istria are well worth your time. While the euro is a great buy for Americans right this minute, even very recently that hasn’t been the case—and Croatia is a perfect alternative or itinerary complement that can help your dollars stretch further. Croatia is technically part of the EU, but not part of the eurozone, and the Croatian kuna is (at least last I checked) a good deal. Plus, Croatia is really central to a lot of places, and so it’s really easy to tack onto an existing itinerary. Both times I visited northern Croatia, it was in tandem with northern Italy (both Venice and Cinque Terre), and the second trip I also added Slovenia. 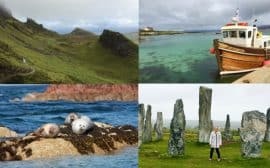 You’ll want to rent a car to visit these towns, because a number of them are pretty remote and public transportation will not be your friend. Driving in Croatia was super easy (except for that one time I’ll tell you about later), and if you did all of the towns below I’d allow for two full days. For a perfect one-day itinerary, I’d base myself in Rovinj, drive through Vodjnan (stop and see the kazuni), Bale (for a brief coffee stop), Grozjnan, and Motovun (leaving a couple hours and a nice lunch or dinner here). Here’s everything you need to know to create your Northern Croatia itinerary! On the first trip (with friends) we stopped in Bale/Valle for coffee at the beginning of the day, and stopped in Pula as well (along with the go-carting). On the second (with my parents) we skipped Bale and Pula, but stopped at the kazun in Vodjnan and Groznjan. Personally, I think my second trip’s itinerary was perfect…let’s be honest, I optimized based on experience! There are a LOT of alternate spellings and Anglicizations, so I’m including them wherever I can. But be aware that there are often multiple names for different towns. 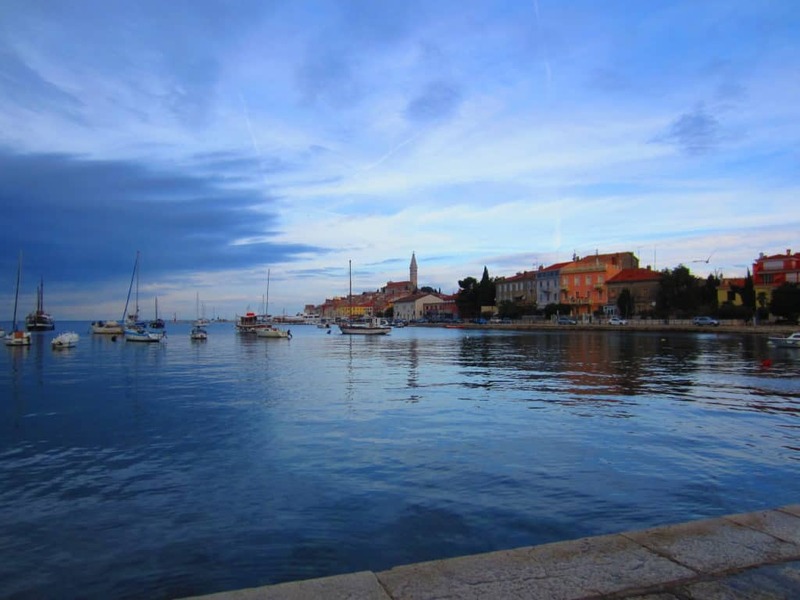 Rovinj (roh-veen) is the coastal jewel of Istria, and a perfect place to base yourself. 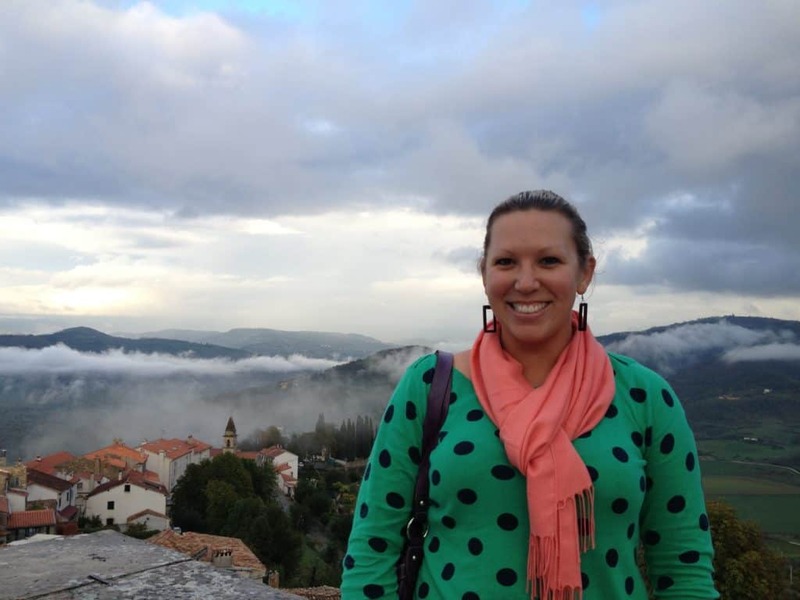 The Italian influence that can be felt throughout all of Istria is particularly obvious here. Croatia has been dominated by a number of different cultures, but it’s the ancient Venetians whose DNA really comes through here. 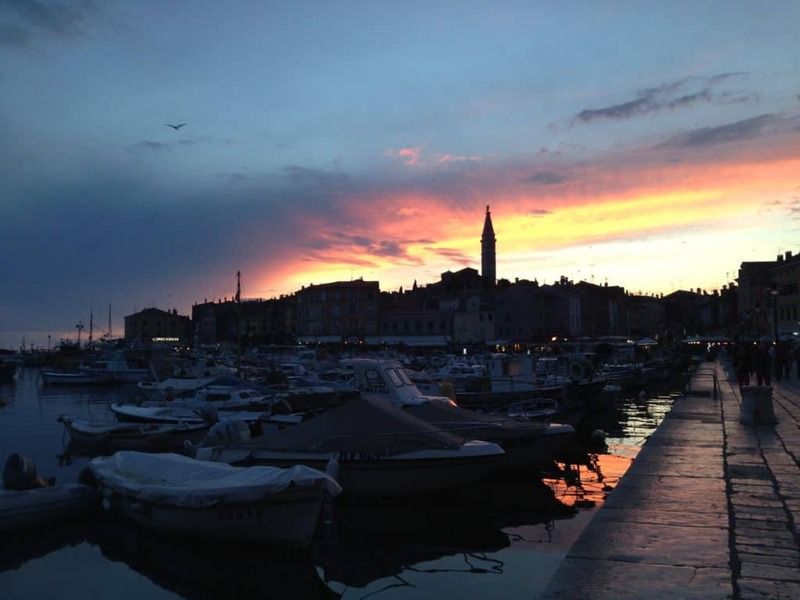 Learn more about Rovinj and why it makes a great base for your trip in this post. Both times I’ve stayed here, we rented an Airbnb or VRBO apartment, which I highly recommend. That way you wake up and are right in the middle of everything. You can sit and drink wine on your terrace at sunset, go for a run through the empty streets, grab a pastry and coffee, and watch the sun come up on the water. The waterfront area of Rovinj is amazing, and I highly recommend setting aside a few hours just to wander up and down twisty, hilly streets and alleys. Stop on the marina for some steak and truffle sauce or fresh seafood, and some of the local wine. You can rent a car here; I’ve used Sixt a couple times. Head out from Rovinj early in the day. When you’re talking the hill towns, the drive is half the fun and you want to make sure you have enough daylight to take advantage. Take detours, stop at roadside stands (seriously, we found the BEST apple and blackberry honey at one of them), take pictures. For instance, as we were nearing Vodjnan, we saw a sign for kazuni. Intrigued, we turned and followed the signs, until we saw these cool stone huts. Kazuni are dry-stacked stone huts (as far as I can tell from research, dating back to Roman times), and are considered a national monument. We would never have known they existed if we hadn’t been open to detours. Bale was a lovely coffee stop for us early on in the day. The medieval town is on the road between Rovinj and Vodjnan, and isn’t quite as tourist-trafficked as other destinations. 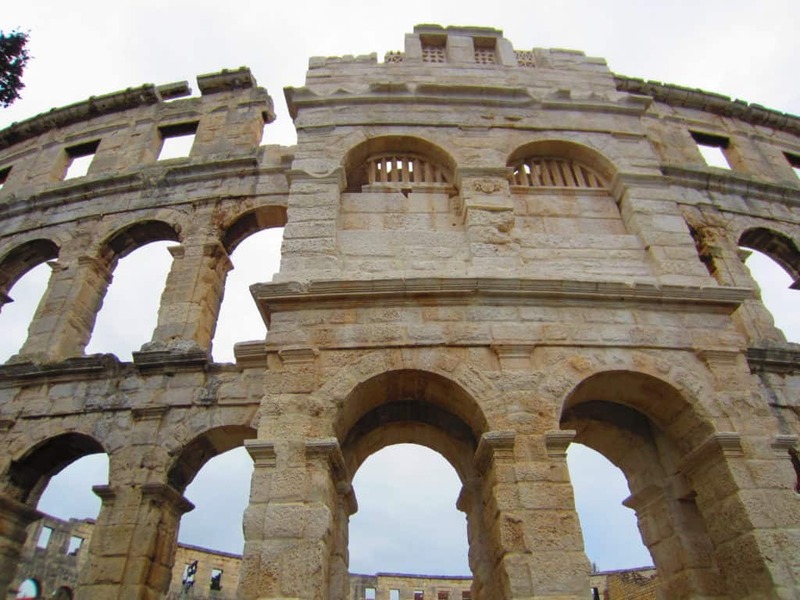 To be fair, the weather was kind of meh when we were here, but I was unmoved by Pula. It’s definitely bigger than all the other towns on this list, a real city in its own right. 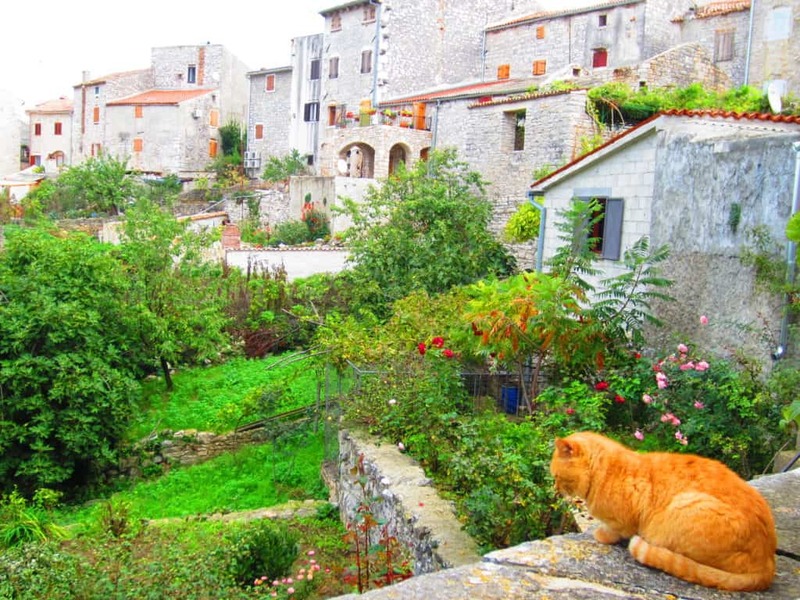 It’s the biggest city in Istria and an industrial port town, so definitely not quaint and charming. But if Roman ruins are your thing, it’s worth a couple hours of your time. We stopped at the amphitheatre (the sixth-largest in Europe/Africa) but didn’t feel like going in…we’ve spent a lot of time with Roman ruins, so it wasn’t particularly impressive. Then we headed on our way. 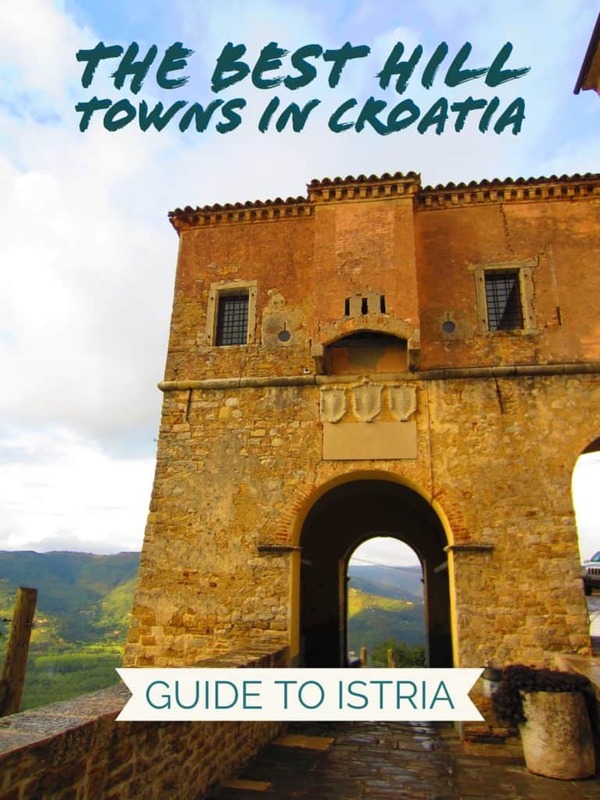 Bottom line: if I were giving you the perfect list of where to go in Istria, Pula probably wouldn’t be on it for me. 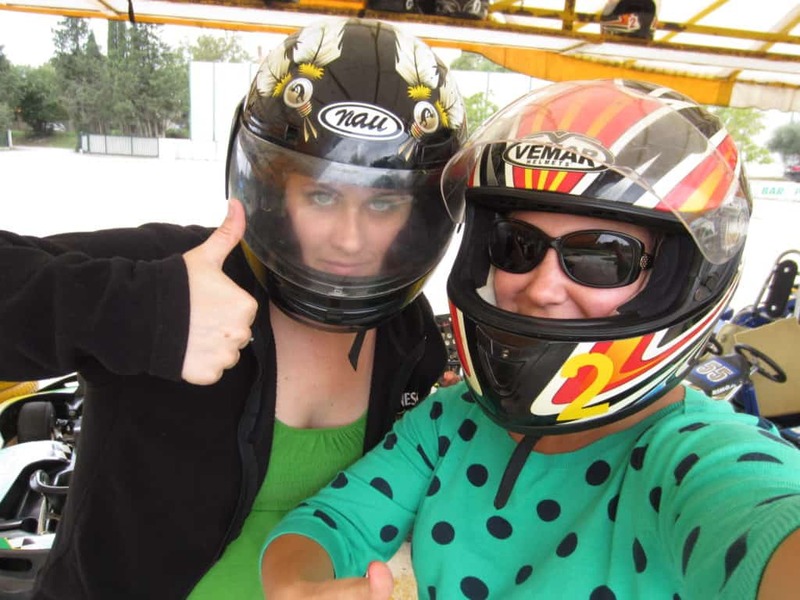 And sometimes you might find a random go-cart track in the Croatian countryside and decide that this HAS TO HAPPEN. Hum (hoom) is tiiiiiiiiny. Seriously, it’s officially listed as the smallest town in the world. Population: 21. Doesn’t mean it isn’t worth a visit, just that you should be prepared to only spend like 20 minutes here. Historically, it first starts appearing in documentation in the 1100s, but the tower here is from the 1500s. There are a few nice little shops of souvenirs (olive oil and such), and it’s a great, peaceful little chance to stretch your legs. Plus, now you can say you’ve been to the official smallest town in the world. Groznjnan (grohzh-NYAHN) is an incredibly charming little artists’ colony, good for an hour’s stroll. It’s a bit like being stuck in time. And if finding great little pieces of local art is your thing, this is definitely the place for you. My mom and I picked up some beautiful hand-thrown and hand-painted coffee mugs here that we love. 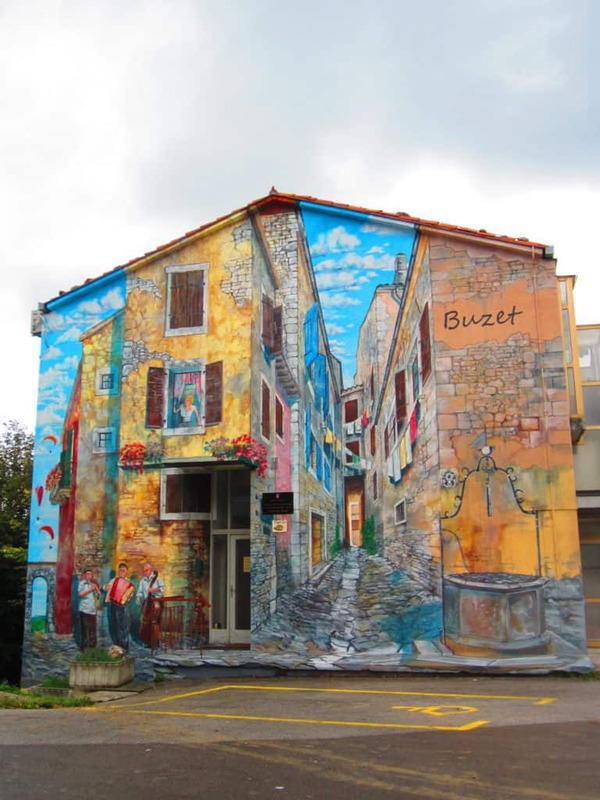 We didn’t spend any time in Buzet (boo-zet) just due to time, but I couldn’t resist stopping to capture this vivid mural on our way to Motovun. 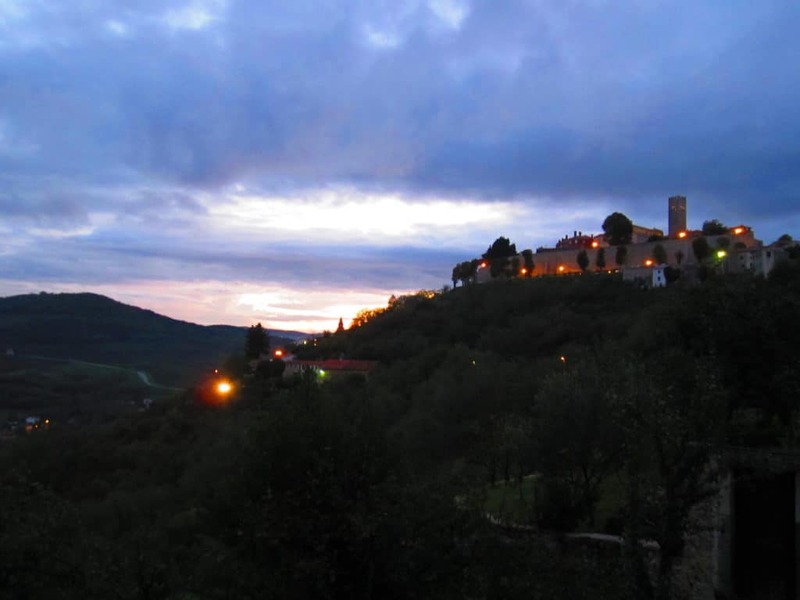 Ah, Motovun, my love. 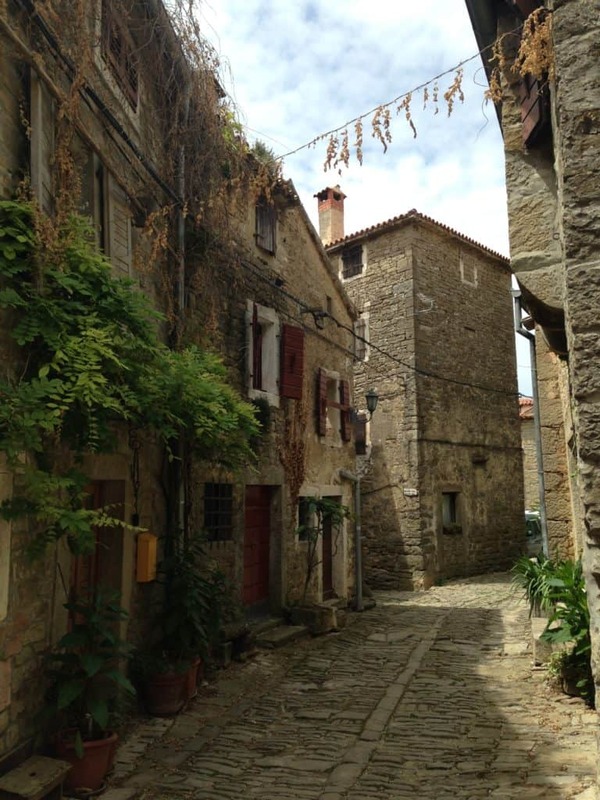 Motovun (moto-voon) is hands-down my favorite of the Istrian hill towns (which is why I devoted a whole other post to it here). Also the most tourist-packed—luckily both times I visited was a bit of off-season (or at least shoulder-season), so it wasn’t quite as overwhelming as it could have been. 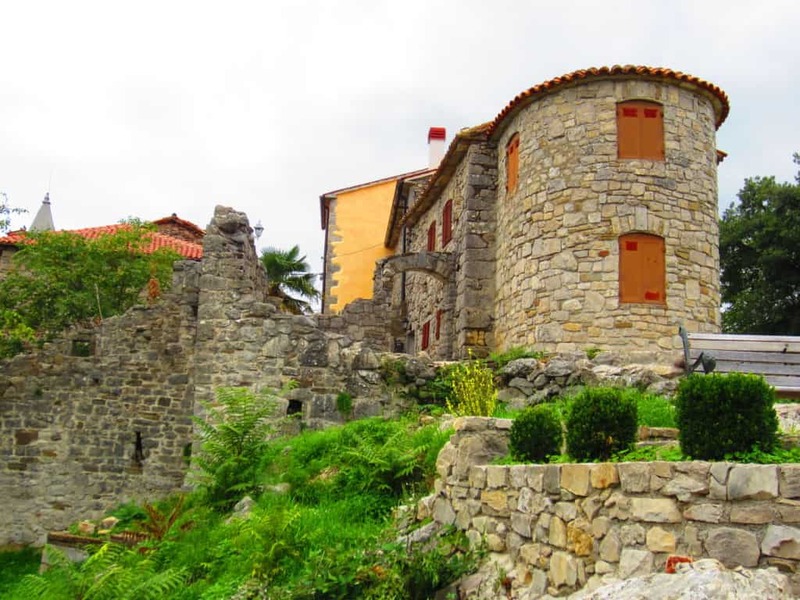 As you walk up the hilly street to the Old Town wall, you can sense that something special is up ahead. Then you walk through the archway and see the vistas, the beautiful colorful church, and it’s impossible not to be charmed. As you walk through the archway, on your left (I think…could be on the right) there will be a little restaurant tucked into the old town wall. 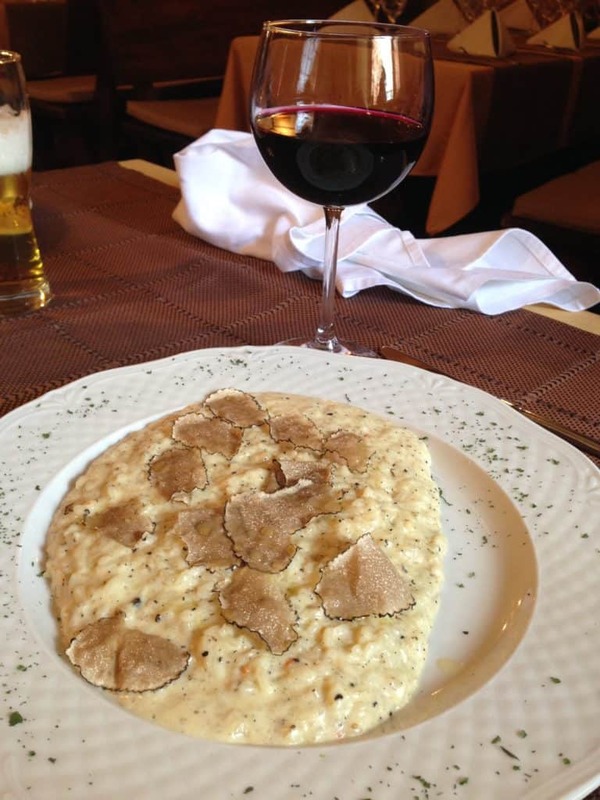 Take a seat at the back, order some housemade Teran wine, and stuff yourself full of the most amazing black truffle risotto you’ve ever had. I’ve been here twice and it is just such an amazing experience. The Old Town itself isn’t huge, so make sure to take every inch in. 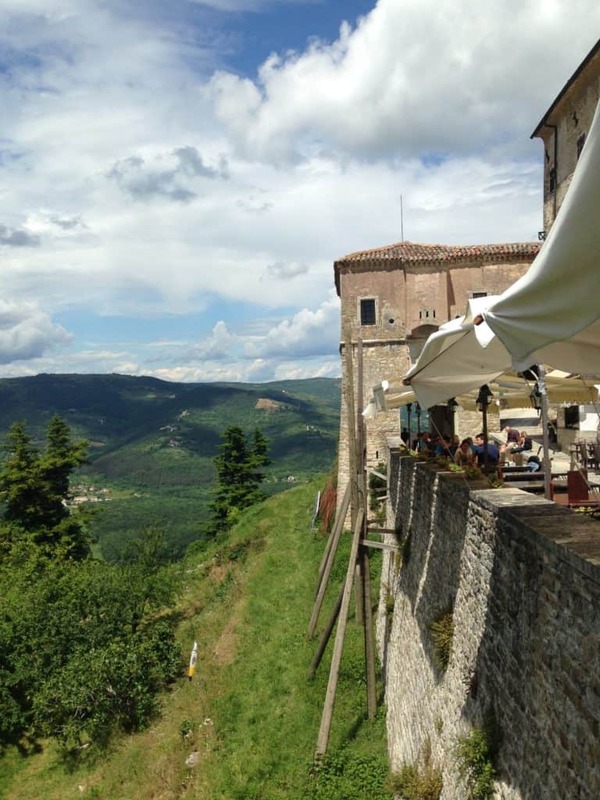 Walk all along the ramparts, soaking in views all around the town. 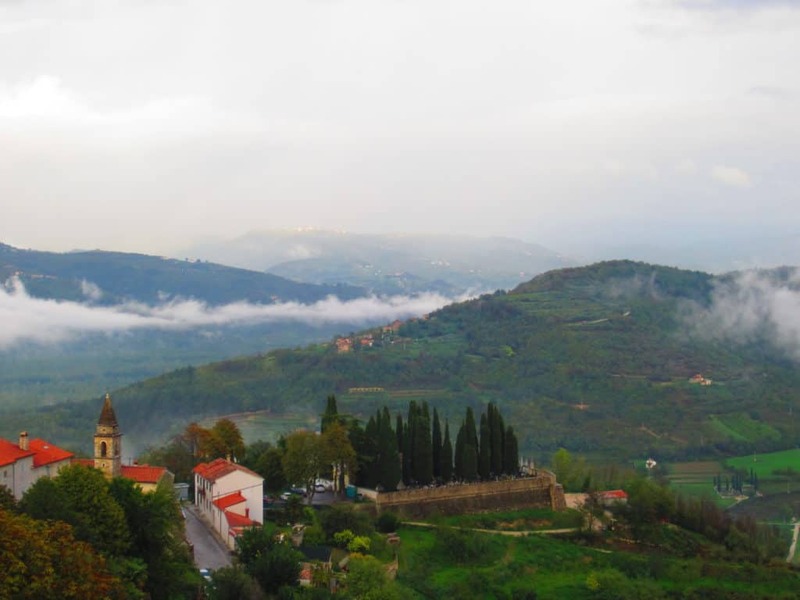 Motovun’s placement on top of the hill is prime for pictures, in almost any kind of weather. 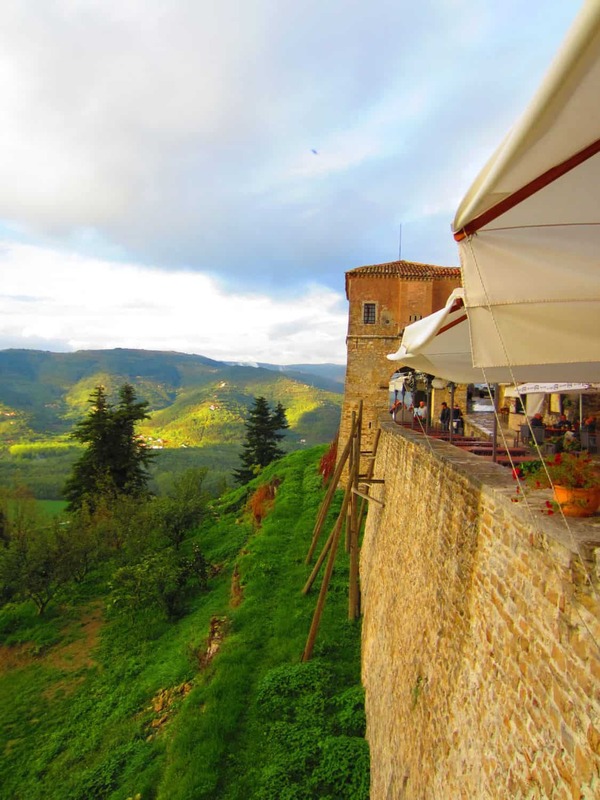 If time allows before you have to leave, pull up a seat at one of the cafes that line the wall and look out on the valleys below. 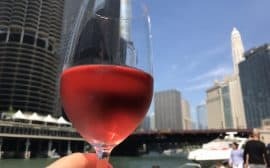 Sure, you’ll overpay for your drinks, but let’s be honest—you’re paying for the view. There are dozens of adorable, historic, and tucked-away towns all over northern Croatia, so this is really just a starting place. 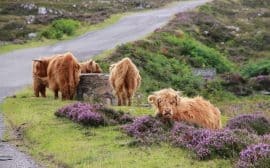 Spend a few days in the area and just drive around, stopping at places that look intriguing, trying a new dish, and trying your best to communicate. I found the Croatian people to be incredibly friendly and welcoming. While Croatian is the official language, Italian was pretty widely understood through most of the north, particularly by the older crowd. I recommend Motovun for sunset, but if you want to stretch it and catch a couple more towns, I recommend Buzet, Hum, Roc, and Pazin (most of which I didn’t see) to complete an easy circle back to Rovinj. But be warned, that is a LOT of driving and not a ton of being somewhere. Did I miss your favorite hill town? Let me know which are your must-visits in the comments!